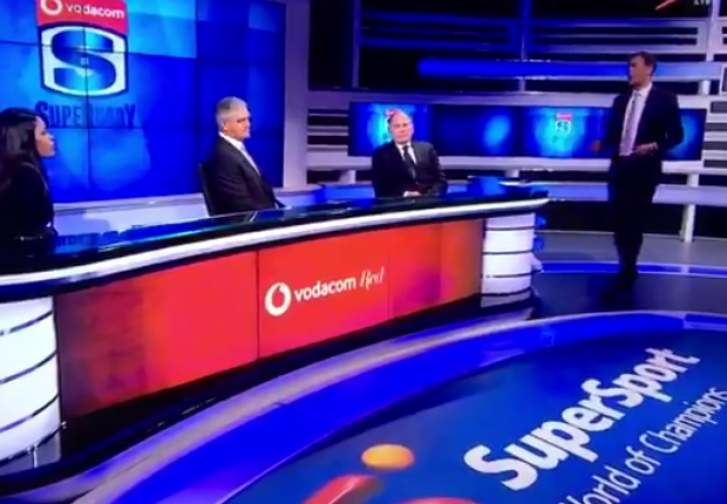 In sensational scenes on Saturday evening, SuperSport analyst Ashwin Willemse has walked off set following an apparent disagreement with fellow presenters Nick Mallett and Naas Botha. The incident happened following the Lions' 42-24 win over the Brumbies at Ellis Park in Johannesburg. While it's not clear what led to Willemse's obvious unhappiness, the former Lions and Springbok wing spoke of being labelled a "quota player" and refused to be "patronised by two individuals who played in an apartheid / segregated era". Willemse went on to say he "can't work with people who undermine other people" and that he was "glad it happened on live TV so that people can see". SuperSport host Motshidisi Mohono called the incident "unfortunate" as Willemse put down his papers and walked off camera. In a matter of minutes the video clip went viral on social media.